A subsidiary of MTD Products is merging with F. Robotics Acquisitions, makers of the robotic residential lawn mower Robomow. Financial details of the transaction, which is set to close in early July pending government and other approvals, were not disclosed. Like many robotic mower products, the Robomow has mostly sold in Europe, though its global market has grown at a rate of 15 percent per year. MTD is exploring ways to “foster demand” for robotic mower technology in North America’s residential markets, Moll said, and this merger will enable “opportunities to employ this progressive technology” in North America, too. Robomow’s operations will remain headquartered in Pardesiya, Israel, after the merger, and its current management team, supported by MTD’s European, North American and Asia-Pacific divisions, will remain in place. Robomow was founded in Israel in 1995 and has produced rechargeable, residential robotic lawn mowers ever since. Its slew of models, which run quietly, automatically and are managed from a smartphone app, vary in size. MTD, headquartered in Valley City, Ohio, acquired Core Outdoor Power and Precise Path Robotics in 2015—a move designed to speed up its technological advancements. 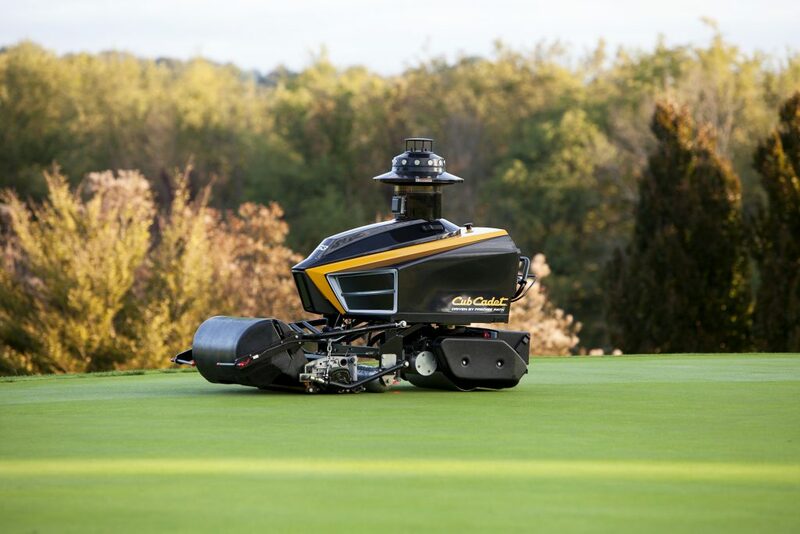 The Precise Path acquisition led to the company releasing the Cub Cadet RG3, a robotic mower for golf greens. LM examined the Cub Cadet RG3 in a 2016 cover story on the push to develop a commercial-grade robotic mower. While the quest for a viable commercial-grade robotic mower is ongoing, many companies—both manufacturers and contractors—have begun adopting robotic technology. Honda recently introduced a robotic lawn mower called Miimo, which will be available in June. Husqvarna recently added to its 20-year-old residential robotic mower line and teased even more advanced technology in a recent press event. On the contractor side, a Dallas startup recently rolled out a robotic mower service, where customers essentially lease a robotic mower from the company. The mower runs continuously throughout the week, and the company stops by to prune and perform other basic maintenance.